Jasper Paul Montgomery, of Bristol, passed away unexpectedly on Monday (April 8, 2019) prayed over and surrounded by loving family and friends. Jasper was born on October 14, 1957 in Hartford, and was a son of the late Everett Montgomery, Sr. and Thelma Montgomery. A Navy veteran with several awards, he settled down in Bristol several years ago. Upon arrival to Bristol, Jasper almost immediately found a second home in the weekday Soup Kitchen at The Salvation Army of Bristol. Within months, he went from a recipient of services to becoming a full-time volunteer and giving countless hours as a Seasonal Bell Ringer. His enthusiastic spirit is what lead to him being awarded Top Bell Ringer. He will be deeply missed by all. He was predeceased by both of his parents and his beloved cat, Diamond. He is survived by his daughter, Tiffany Thelma Montgomery (Spouse: Taki McCants), and two grandchildren, Jamiyra and Jamahj, as well as Tiffany’s mother, Lisa Ledbetter, all of Hartford. He is also survived by an incredibly loving group of siblings: Ronald Spencer (Spouse: Gwendolyn) of Tallahassee, FL, Everett Francis Montgomery (Spouse: Camille) of Springfield, MA, Carlson Lee Montgomery of Boston, MA, George H. Montgomery of Bristol, CT, Mark McClendon Montgomery of Boston, MA, and Lila Curly Montgomery of Tallahassee, FL, as well as many nieces and nephews. 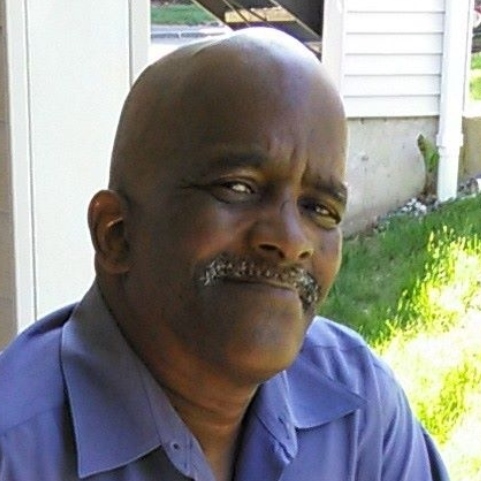 A memorial service will be held at The Salvation Army Hartford North End Corps., 100 Nelson St., Hartford, Wednesday (April 17, 2019) at 5:00 p.m. with reception to follow. Donations can be made to assist his family with the cost of all services at: GoFundMe.com/JasperMontgomery. Funk Funeral Home, 35 Bellevue Ave., Bristol, is assisting the family. Please visit Jasper’s memorial web-site at www.FunkFuneralHome.com.